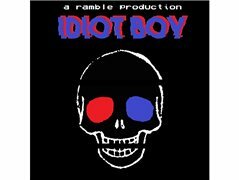 Idiot Boy is a micro-budget found-footage horror film set in 1990's. It follows two men on the outskirts of society who eventually commit a heinous act. The film will be comprised mostly of a series of vignettes, which will be unscripted and completely improvised. We are looking for actors who are hoping to improve their skills of improvisation. No one in the cast or crew is being paid, any money we earn through fundraising is going straight into the film making process and distribution/festival submissions. We will not be holding an audition process, instead we will be accepting headshots and showreels or audition tapes. We are not providing roles, instead we will be asking you to come up with a persona, as someone to interact with our main characters. We won't provide you with a script but we will provide you with context and a scenario to play around in. If we feel particularly inspired by your performance and character we will be asking you to come back for more scenes. Filming will take place all over Dublin in the coming months. This is a unique project and as such we are looking for unique people.